Recently, a 32 year old patient came in for an eye examination with no vision complaints or systemic conditions. She was interested in being evaluated for Lasik. Best corrected visual acuities were 20/20 in both eyes. I dilated the eyes for a full view of the retina and found retinal holes with underlying fluid. I referred her to the retinal specialist. Prompt treatment, with laser prevented severe vision loss. The retinal specialist is monitoring her other eye, which also has retinal holes but do not require immediate treatment. He also recommended waiting on Lasik and reviewed precautions for retinal detachment after Lasik. 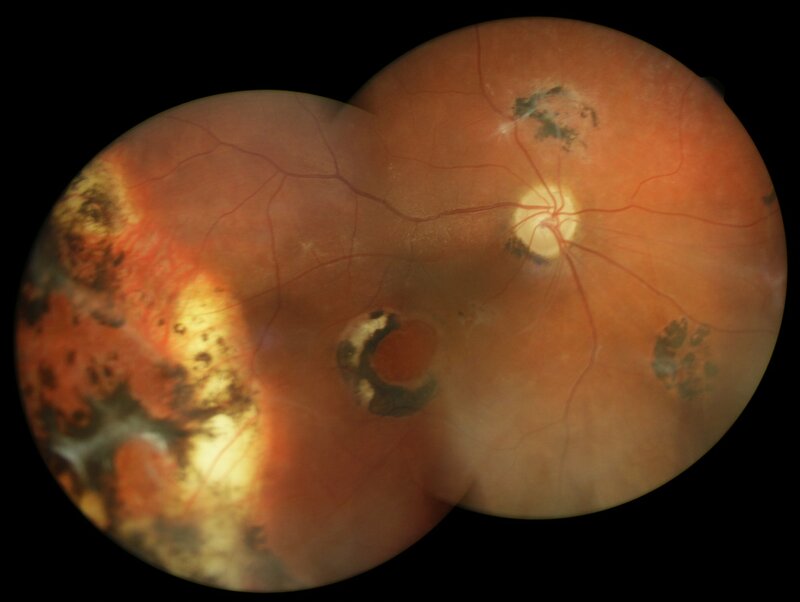 This patient suffered from a severe retinal detachment and macular hole, and has permanent vision loss.